The chart below allows me to specify screws and bolts and then design holes that will work. For instance, I used a lot of #4 screws, and the chart tells me I need a hole diameter of approximately 2.794mm. Handy! 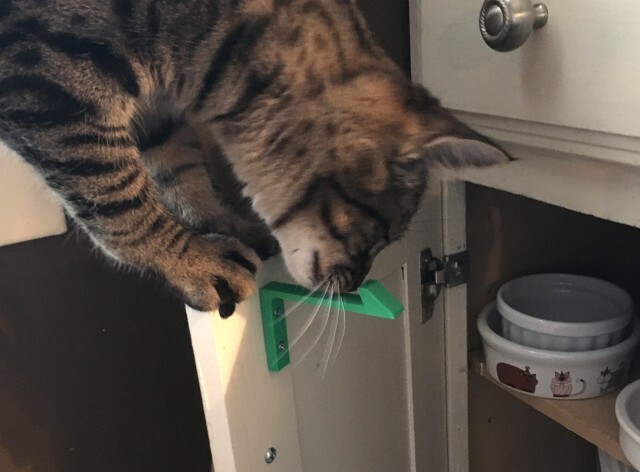 Our new(-ish) kitten is still getting into trouble on a daily basis, and he occasionally opens up the kitchen cabinet doors, and either crawls inside, or worse, gets into the trash can and has a good ‘ole time. Not cool, kitten! The solution was simple, those child-proof cabinet door locks. I took a quick look on Amazon and found some, but they typically come in a 12 pack or 20 pack or some other number that makes sense to put on all of your cabinets. 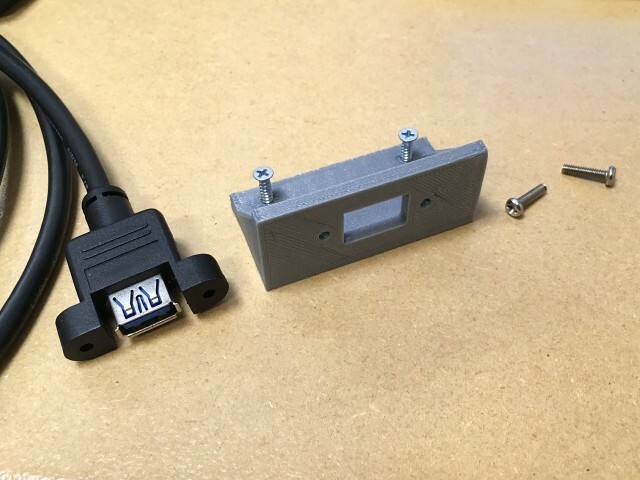 Of course, when you’ve got a 3D printer, why bother ordering things you can just print out? 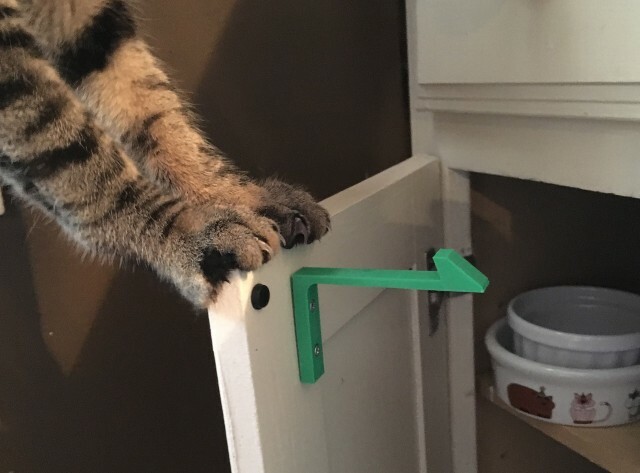 I found Child safety lock for cabinet/cupboard on Thingiverse, printed one, and put it on the cabinet that has the trash can. Problem solved! I printed two more, one for the cabinet with the pots and pans, because who wants cat fur in their frying pan? And the third was for the cabinet where we keep the cat food. It’s probably a good idea to keep him out of that one. Here’s Mr. Kitten inspecting my handiwork. Or maybe he’s just trying to figure out how to get around this terrible device. 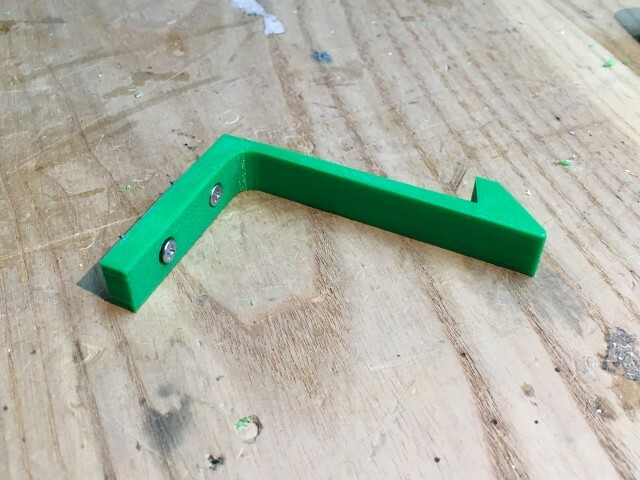 This is one of those things where I probably would have enjoyed 3D modeling this part, but I was able to find one someone already created, and best of all, it was created in OpenSCAD, which was nice because I could easily alter it, and I could learn from looking at code someone else wrote. Win all around. 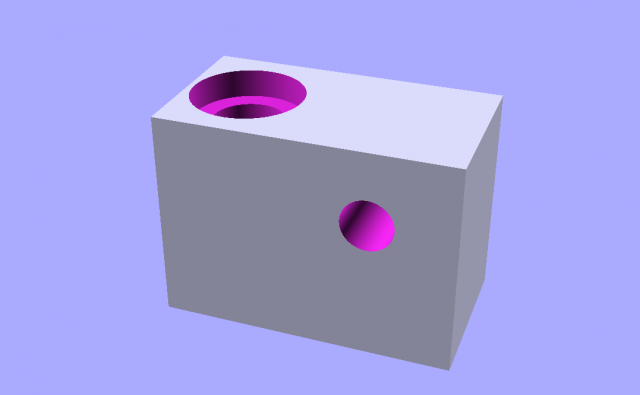 When it comes to 3D modeling for the majority of the 3D printing I do, I tend to turn to OpenSCAD. 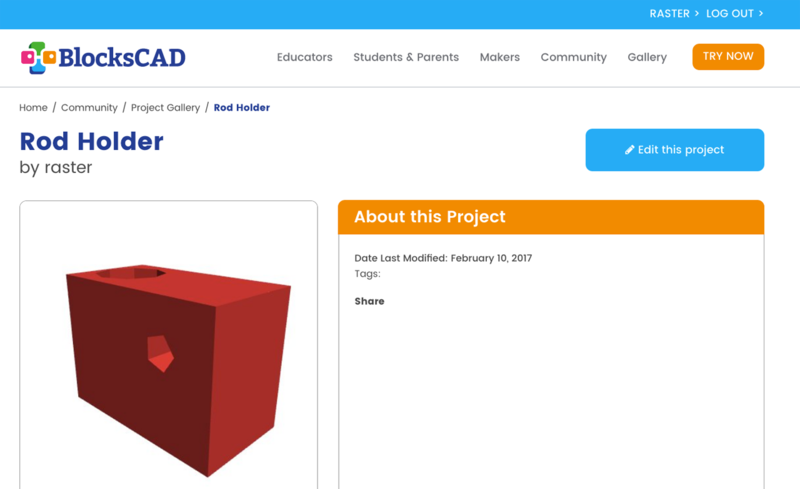 OpenSCAD is known as “The Programmers Solid 3D CAD Modeller”, and it’s free software available for Linux/UNIX, Windows and Mac OS X. Yeah, you create objects by writing code. It’s weird, but so am I. 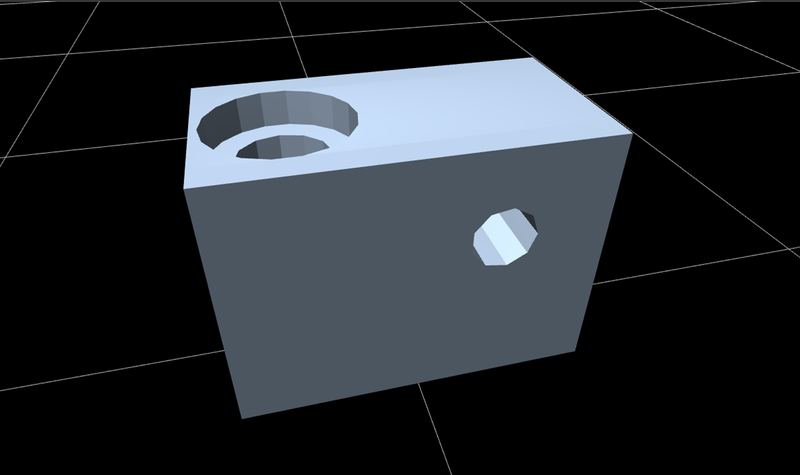 If you’re one of those cloud-loving weirdos (who also uses Chrome) you can also opt to use OpenSCAD.net, which is a (blah) “browser-based” version of OpenSCAD. Sort of. It definitely has it’s usefulness (Chromebooks!) but anytime I can download and install an open source application, I’ll opt for that route. Now, once you get used to OpenSCAD (assuming you want to) you can refer to the cheat sheet or read the entire OpenSCAD manual. But suppose you don’t exactly want to write code, or you aren’t good at it yet… Perhaps BlocksCAD can help. I took a model I made in OpenSCAD last week and recreated it in BlocksCAD. It took quite a bit longer (probably because I can write code fairly quickly) but the results were good. The blocks really help show the structure of things. For anyone whose had to remember bracket placement, semicolons (and tabs & indents if you care about readable code) the blocks interface hides all of those things. Again, possibly a good thing for beginner coders. 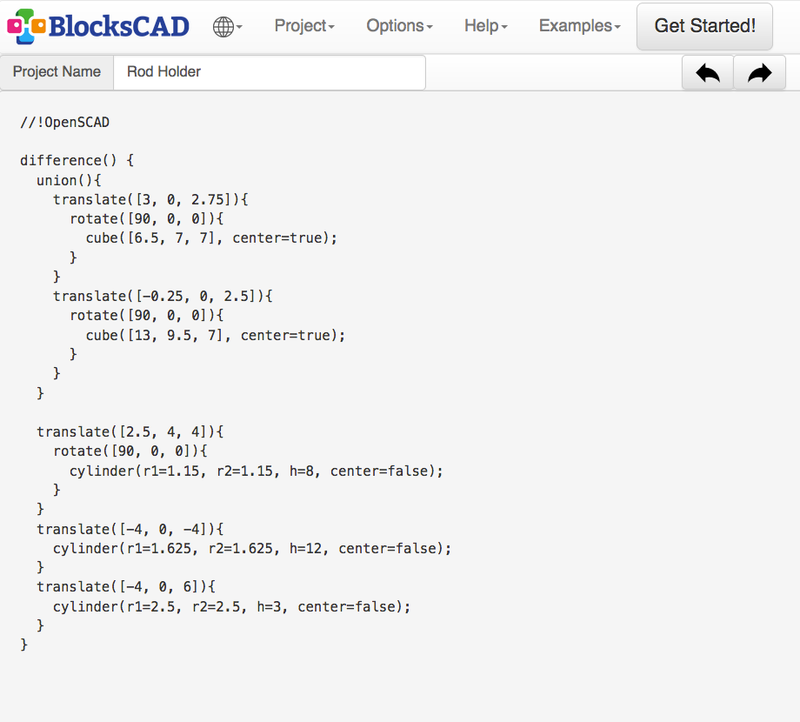 In BlocksCAD you can toggle between the blocks interface and seeing the code. This is great, as you can see the code that gets created by the blocks. Note that you cannot edit the code in the code view. This is (slightly) annoying, but I can understand why this decision was made. 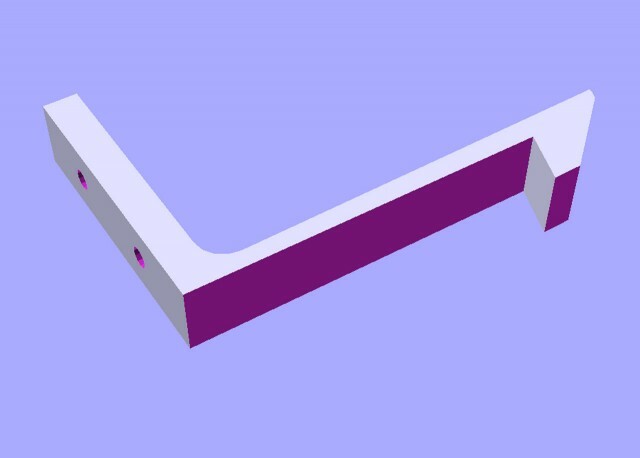 There are things that BlocksCAD doesn’t support, but the basics are there. (I’d love to see comments added.) The basics are enough to get a beginner (child or adult) started with building blocks into a program that generates a 3D model. Sweet! You can also easily share the models you create. (Okay, that’s probably the one nice feature about a browser/cloud-based thingy.) You might notice from the image above that the holes are weird looking, as in, not very round. What’s going on? 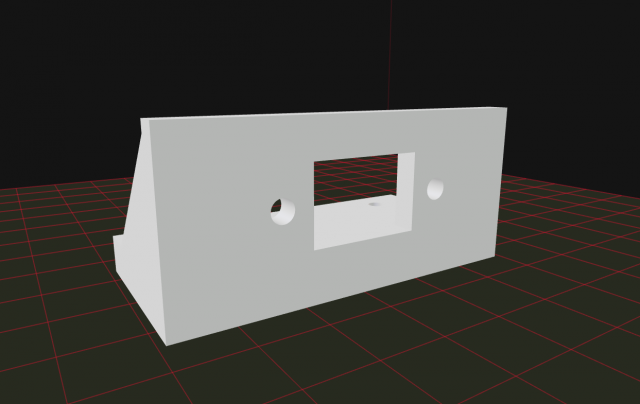 Here’s what I got when I copied the code from the “code view” of BlocksCAD and pasted it into OpenSCAD and rendered it. Blah! Low-resolution holes. If I added my $fn = 100; line it rendered what I really wanted. 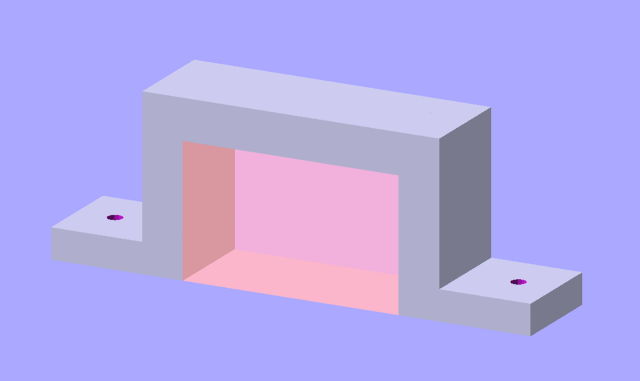 When you render objects in BlocksCAD there’s a “smooth” option with Low, Medium, and High settings. So, if you choose the High setting, you get a much better model. The code view doesn’t show whatever the $fn/facet setting is for the model, but it must be adding it when it does the render. Makes sense. 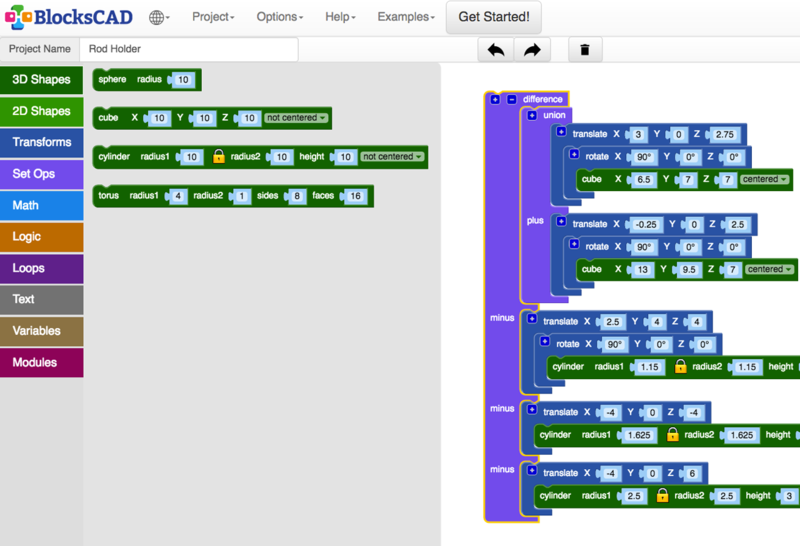 BlocksCAD has a few quirks, but I think it’s a great concept. While I’d love to see a downloadable version, I hope Einsteins Workshop continues to provide the web-based offering for those who want to use it. 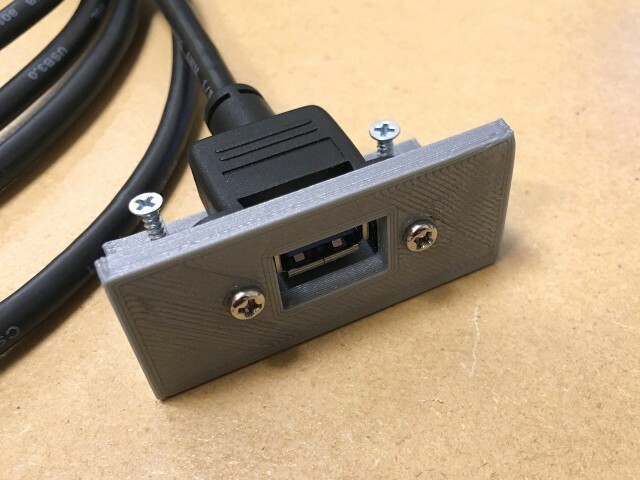 I designed a small part to hold a panel mount USB cable. 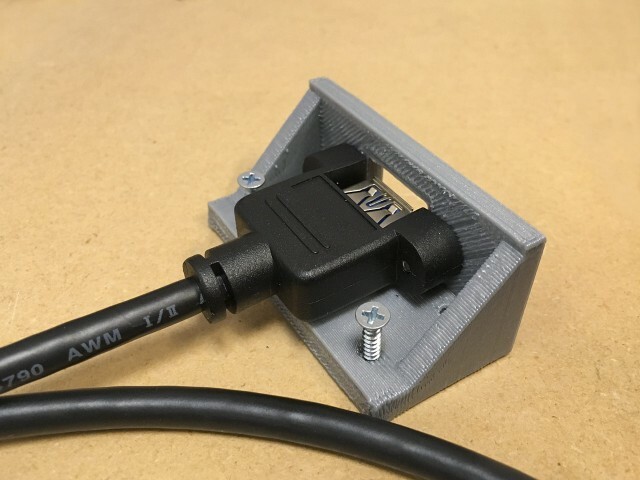 I started with the Phoenix Connector Mount I briefly mentioned before, and did some quick modifications to make it work with the USB cable. I designed this thing in OpenSCAD though I did borrow a few elements from another recent model so that I could use 5/8″ #4 screws. 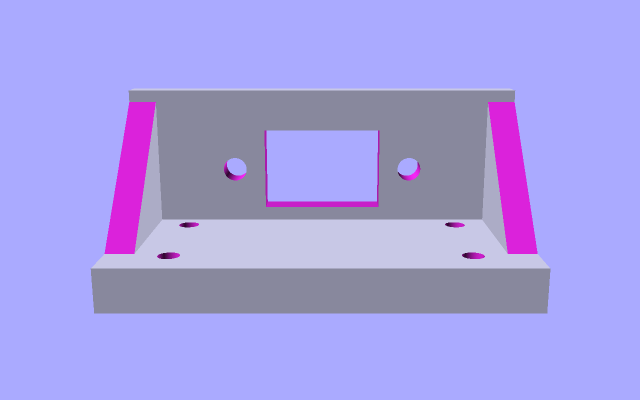 The bottom where the screws go in is set to a height that allows the screws to go in just under 1/4″ which is enough to hold, but not enough to go through the material they’ll be screwed into. This is one of the things I love about making custom mounts and brackets, you can configure them to match the hardware you have available. You can find this design on YouMagine and Thingiverse.